Wondering how a website can provide your business with a competitive edge? Follow this article to understand why you must setup one immediately for your business. All of us are familiar with websites. In simple words, a single domain with a collection of many web pages forms a website. Knowing this alone will not suffice; need to know the importance of launching a website to make yourself competent to run your business. As the age-old epithet goes, “Better late than never.” Understand the need for a website and design a professional looking website to kick-start your business. An online presence is always good for the reach and scope of the business. Starting a business is quite straightforward. But surviving in the market is a completely different ballgame. Partnering with your client becomes even tougher. Having a website would help you to earn their trust. People rely upon the internet for most of the information related to any service and product. You may provide the best service to your customer, but that can come to limelight only by collecting their feedback and making it visible online. You need a website to make this happen quickly. The cost involved in designing a website is not as high as you think. Nowadays the huge competition between service providers made the process of owning a website very affordable. Today, with the advancements in technology, a variety of options knock your door, and you can choose the best fit. Wisely choose a profitable website without compromising any of your needs. Websites help you to reach the potential customer without much struggle at the best cost compared to other modes of connecting with them. The highest expense to start a business includes in design, print, and delivery of their marketing materials. Websites act as an efficient, cost-effective medium to achieve marketing strategies than a print-based media. Storing data also becomes easy with websites than preserving paper materials. You can make brochures in different design in bulk and use them for marketing at various stages of your company growth. On the other hand, it involves more space and cost to store paper and brochures. Having a website would enable easy reach to the customers. Sharing information becomes very simple. Keep updating your website with the services and products added to your business. While the same updates regarding your events, promotions, and discounts published in other places may not reach customers quickly. Irrespective of the business you run, websites help you to showcase your portfolios. Attract people to your business by creating best galleries showing your work culture. Request your existing clients to provide testimonials and publish that on your website. One positive feedback from a customer would convince hundred prospective customers. Website spreads the word across the globe pretty quickly. Providing online customer support all through 24 hours a day, seven days a week using your websites makes life simple. 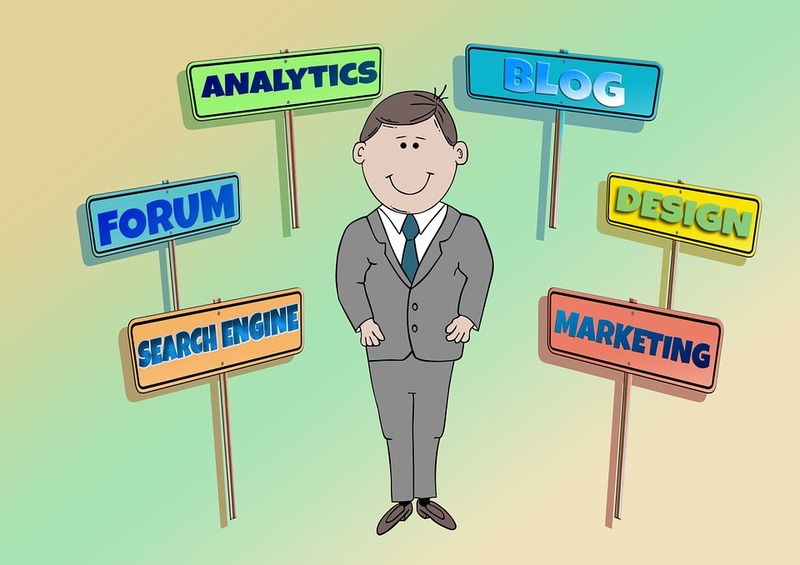 Provide insights about your service via blogs on your website. Write contents that help your clients grow their business. Give those tips and tricks. Keep your FAQ page as updated as possible to help customers to know their queries resolved even before they wait to connect with you. Only when you have a website with all details about your product or service should customers know you better. People always prefer to have options. They visit websites that are in competition with you if they offer more solid service than yours. Yes, there’s the catch, effortlessly you will be able to know your competitor’s website tricks. Nurture your work towards surpassing your business competitor the healthy way. Do you know? People select companies not solely based on their turnover and physical presence, but based on their website look and responsible interaction. Websites promote not only external contacts but also improves internal communication with your employees, partners, and suppliers. You can provide guidelines that your staff must follow on your website. Creating employee forums give way to know each other better. When you have office locations in multiple places website helps to connect employees. Websites can contribute to selling products round the clock. People prefer shopping, not between 9 am and 5pm on workdays. They want to have a flexible purchase time. Yes, anytime. A website with an option to sell products online increases your sales drastically. Provide a dramatic boost in sales. Now, you know got a basic idea of the need for a website. But it does not stop there. A well-designed website would help you reach greater heights in your business. Know the SEO statistics to build the right website matching your business needs. Get to know your consumer’s way of searching for details online. Provide relevant information on your site. Explain about your business clearly on your homepage. Use simple English. Strictly no spelling and grammar mistakes. Upload some pictures instead of overloading details in writing. Don’t overcrowd all inputs in one page. Create landing pages for specific topics. Makes sure to have a ‘contact us’ page with all your contact details. Remember to provide a reachable contact number. Always have ‘call to action’ on all pages. Incorporate social media sharing with your website. Last but very important input you must know. You guessed it right. Make sure to design a website compatible with all devices. Pull up your socks and build a website to become a successful entrepreneur. The first impression lasts long. Connect with your customer by creating an engaging website.